It’s time for Sunday Stash again, hosted by the fabulous Molli Sparkles! 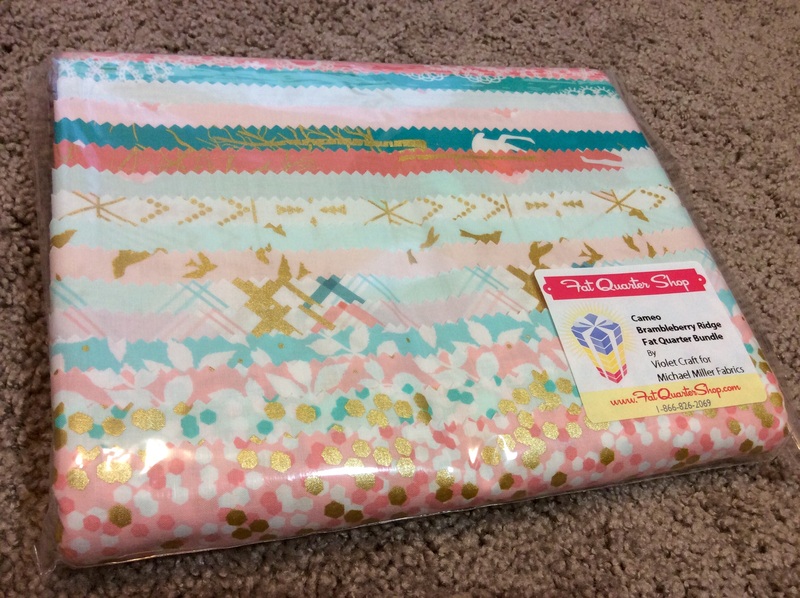 Today I’m sharing fat quarter bundles with one thing in common – all were awesome deals I scored at FatQuarterShop.com! First up is Carolyn Friedlander’s ENTIRE Botanics line for Robert Kaufman – which is reserved for a quilt I want to make for our bedroom. The colors are right up our alley, and I love how gender neutral this palette is. Do I know what quilt pattern I want to use yet? Sadly, no idea. I’d been seeking out this bundle for about a month and even ordered it from another online shop, but it ended up being out of stock. Then one day it happened to be 50 percent off at FatQuarterShop.com during a daily flash sale. Next up – Brambleberry Ridge by Violet Craft for Michael Miller Fabrics. For some reason I’m very attracted to anything and everything gold lately. These prints are no exception. Some of them even have gold deer. GOLD DEER! No idea what I’m going to do with this yet, but I am determined to make sure it’s something special. 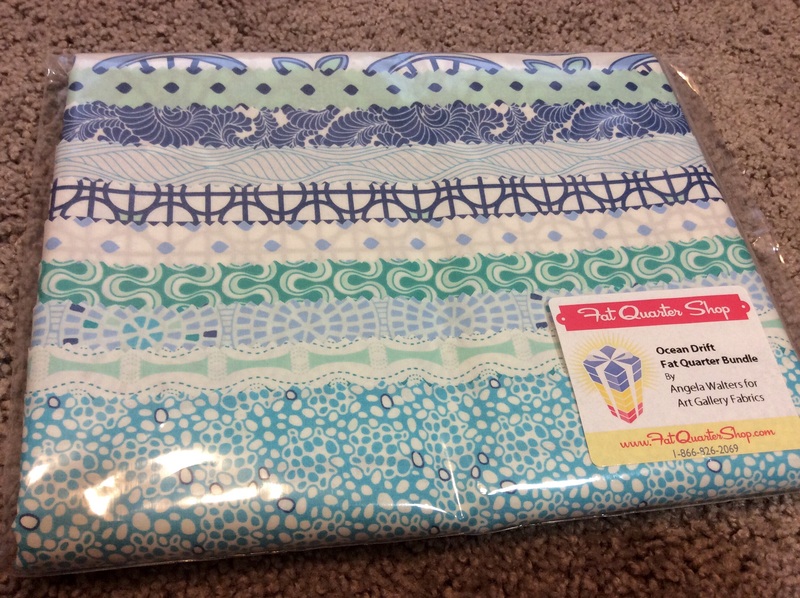 And my last bundle to share is Drift by Angela Walters for Art Gallery Fabrics – a cool collection of blue prints that have a very nautical feel. This is yet another part of my stash that I have no concrete plans for yet. Any ideas? If I’m going to #sewmystash2015 I’m going to have to get some traction here. The past few days have been a bit rough in the Moore household. I’ve been pretty sick and out of commission. Today is the first day I’ve started to feel more like “myself” and able to get back into the usual routine. Also, I want to share my fondness of Fat Quarter Shop with you. I am *not* at all a spokesperson for this online fabric store, and I paid for all of my purchases without any sort of extra promotional consideration. I am just a fan of this business. I’ve ordered several times and the shipping is fast and USPS (we have issues getting delivery to our new house from UPS and FedEx), plus I like the packaging of the fabric. The fat quarter bundles are cut and packaged flat so they can be shipped easier, and they are slipped into nice cellophane bags and labeled neatly. 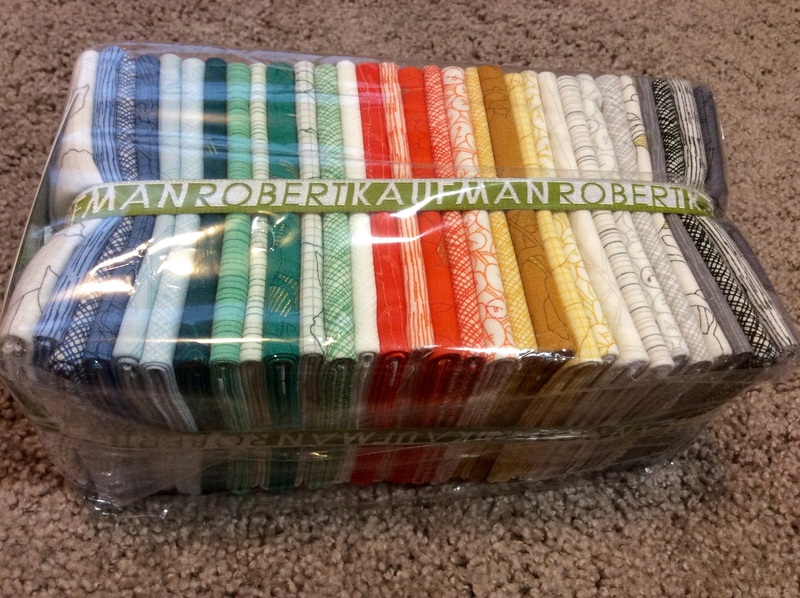 2 Responses to "Sunday Stash: Fat Quarter Shop Deals"
Lucky you! It’s fun to score a great find, isn’t it? I started out ‘saving’ fabric for something great, but then realized it was like saving clothes for good. They would either go out of style, or I would lose my appeal for them before they were worn much. So now I try to use my favorite stuff ASAP in projects I know I’ll be using, and love to have around me for the bling factor. Other people can enjoy them, too, now. I love FQS also. They have pretty fantastic customer service. You’ve got some great stuff there. I have a long lost WIP (that needs some major fixing) of Architextures – I should dig that out and try to fix it and finish it. I really like her stuff.